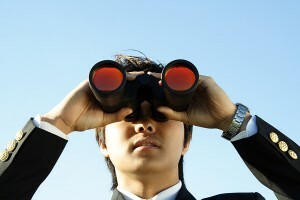 You’re reading Top Marketing Trends for 2011 from Epiphany Marketing’s Strategic Marketing blog. Subscribe: Email | Facebook | RSS. …along with specific steps you’re going to take to attract those people, get their attention, and plug them into your sales process. If not, this is where you must start. Otherwise, you’re going to be overwhelmed by all the stuff you could be doing. Strategy is as much about knowing what not to do as it is about knowing what to do. And speaking of what you could be doing… looking back on 2010, I can’t recall a year ever in which so much has changed in marketing. Mobile devices continue to change the rules… and are now inventing new ones. Text messaging, Twitter, mobile browsers, maps and navigation, social media apps on the go… all of these affect how your buyers receive your messages, and this year has brought some amazing changes to this space with new devices, maturing platforms (particularly Android and iOS), and high adoption rates. People spend more time “connected” on the go than even I ever dreamed… and it’s going to increase. Local businesses have an amazing (and dizzying) array of options to reach out to customers with geo-location services like Foursquare, Google Places, Facebook places, and Gowalla. Which ones are effective? Which ones are a waste of time? Consumers are using location-based services from mobile devices in record numbers. Are you missing out on the opportunity? These are just a few of the major shifts we’re watching from 2010. How do they affect your business in 2011? What else should you be paying attention to? We’ll be tackling these questions and showing off some pretty nifty stuff over our next few posts.